Two domestic terror investigations each took significant steps forward Wednesday, with a Massachusetts man, already charged with lying to federal investigators, facing the added accusation that he conspired to provide material support to terrorists. At about the same time the charge against Tarek Mehanna was announced, an Ohio man was sentenced to 20 years in prison for conspiring to kill people abroad - including American troops serving in Iraq. 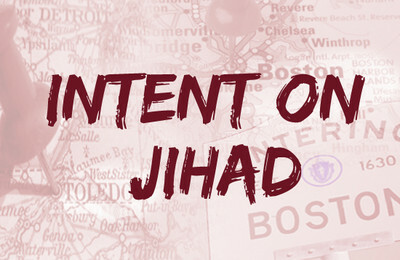 According to an affidavit signed Tuesday by FBI Special Agent Heidi Williams, Mehanna and two other men traveled to Pakistan in 2002 and Yemen in 2004 in hopes of finding "a terrorist training camp to learn how to conduct and subsequently engage in jihad." Both trips ended in failure, however. And, like the case of North Carolina convert Daniel Patrick Boyd, investigators say their frustration at being unable to wage jihad abroad prompted the men to discuss attacks in America. They discussed targeting two high ranking government officials for assassination. Those conversations never really progressed. However, talk of taking automatic weapons to shoot up malls led to a series of actions, and at least one trip in hopes of securing the guns, Williams wrote. Much of the government's case against Mehanna is based on information secured through two cooperating witnesses, including one who originally shared Mehanna's dream "to die on the battlefield. All of them wanted to participate in jihad," Williams wrote. This witness got cold feet upon arriving in the United Arab Emirates en route to Yemen for training in 2004 and used his family's pleas as an excuse to back out. The other member of the group, Ahmed Abousamra, is believed to have fled to Syria after the FBI interviewed him in 2006. The men debated some acts of terrorism, including suicide bombings. Abousamra is portrayed as the most extreme of the group, endorsing suicide bombings and citing Islamic teaching as justification. Abousamra justified attacking civilians "because they paid taxes to support the [U.S.] government, and because they were Kufar (non-believers)." It was Abousamra who made contact with the terrorist group Lashkar e-Taiba during a 2002 trip to Pakistan, Williams wrote. But the LeT turned him down because he was an Arab. A similar overture to the Taliban was rejected because the group lacked fighting experience. The frustrations coincided with the 2002 sniper attacks in and around Washington, D.C. which killed 10 people. It was then that the men discussed shooting up a mall. They scouted possible targets and tried to assess the logistics. The cooperating witness traveled to New Hampshire to meet with Muslim convert Daniel Maldonado about obtaining the automatic weapons they thought they'd need. But Maldonado said he could only get handguns and the plan was abandoned. The affidavit makes no reference to any new or ongoing planning for a terrorist attack, but also states that it is not a summary of all the government's evidence. Maldonado later would plead guilty to receiving Al Qaeda training in Somalia, and is serving a 10-year prison sentence. He acknowledges talking to Mehanna, and to encouraging his friend to join him in Somalia to wage jihad. The original charges against Mehanna included claims that he lied about what he knew about Maldonado and the 2004 trip to Yemen. That trip, he told federal agents, was for religious education. Meanwhile, a federal judge in Toledo sentenced Mohammad Amawi to 20 years in prison for his role in conspiring to kill U.S. troops serving in Iraq. Amawi is the first of three men in a Northern Ohio-based terror cell facing sentencing Wednesday by U.S. District Judge James Carr. Amawi, Marwan El-Hindi, and Wassim Mazloum were convicted on June 13, 2008 on two counts of conspiring to kill or injure people in the Middle East and of threatening the President of the United States. In court Tuesday, Amawi asserted that he has been "unjustly framed" and claimed that the government twisted his words and misconstrued his intentions. But in its sentencing memorandum, prosecutors made a detailed case that the three defendants are very dangerous and deserve long prison terms. "The evidence leaves no question that the defendants' commitment to training themselves, and others, in methods to violently engage U.S. troops" was calculated "to retaliate against government conduct," the memo said. Specifically, "the defendants spent considerable time and effort in acquiring, viewing, and distributing material from jihadist websites," prosecutors said. "This material predominantly featured videos showing the violent deaths of American troops in suicide bombings, IED attacks, sniper fire" and other attacks. In the Massachusetts case, investigators say Mehanna sought out and viewed similar jihadi videos on the Internet. The Ohio defendants met Feb. 16, 2005 at El-Hindi's residence and discussed "how best to support the efforts of the mujahedeen against the U.S. military." Amawi, an American citizen, "has demonstrated a long-term, heartfelt, consistent, committed and serious desire to attack and kill Americans, and to support, in numerous ways, others who share his commitment to this goal," the sentencing memo said. "He has demonstrated a committed and serious desire to attack and kill Americans" and his involvement in the conspiracy focused on "carrying out violent activities against the perceived enemies of Islam – specifically U.S. troops in Iraq." Amawi also accumulated a large collection of "violent jihadist propaganda, terrorist training materials, extremist doctrine and videos recording the torture and killing of human beings in the name of Islam," the brief added. Amawi "clearly memorized the nashids (mujahedeen battle songs) that were playing in the background of videos depicting suicide attacks, murder and attacks on U.S. soldiers." He became "more radical in his appearance, behavior and expression of his beliefs" after returning from an extended trip to Jordan in 2004. There, he wanted to cross into Iraq to engage in jihadist activity against the U.S. military, but was prevented from doing so by his family. As a result, Amawi returned to the United States, where he began amassing a huge amount of jihadist videos and materials from jihadist websites and other Internet sources. He also began researching the acquisitions of weapons and bomb-making manuals. "clearly expressed a consistent and long-term interest in killing other human beings in Iraq and elsewhere as a sniper; a trainer; a fighter amongst the U.S. soldiers –shooting at them; or as a jihadist who could utilize explosives and slip away to fight another day. Amawi was also consistent in his desire to die as a martyr in the course of this jihad. Indeed, Amawi explained to Griffin and others that his desire to learn how to do the maximum damage possible, to kill so many members of the armed forces of the United States and others, was one of the only factors delaying his travel to join the jihad in Iraq." He "laughed at the deaths of American soldiers," the memorandum said, including laughing at the story of "an Iraqi sniper who killed a soldier and then killed another soldier when that soldier came to retrieve the body of his fallen comrade." Amawi and co-defendant El-Hindi "excitedly celebrated the death of what they believed to be forty U.S. soldiers in a video depicting the downing of a military transport plane. Amawi scoffed at American pain regarding the deaths of September 11, 2001 victims at the Pentagon. In a particularly twisted remark, Amawi chuckled as he stated 'Look mom I'm flying' as what appear to be the bodies of U.S. soldiers are blown into the air during an IED attack on an armored personnel carrier." The Boston Globe has more on the Mehanna case here, including video from the U.S. Attorney's news conference. Toledo Blade coverage of the Amawi sentencing can be seen here.